I feel there is no better post to kick of October than a baked good featuring fall produce. I’ve never been a big eater of raw pears, but when it comes to baking, I’ll turn to them first. 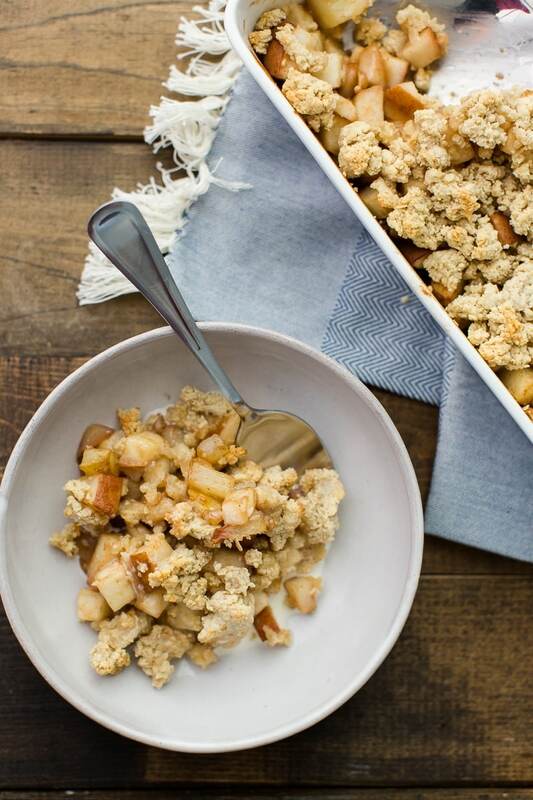 This particular pear crisp is a riff from the crisp in The Easy Vegetarian Cookbook. It comes together fairly easily, is minimal on ingredients, and the perfect companion for a scoop of vanilla ice cream or a drizzle of heavy cream. If you’ve purchased my cookbook, you know there are already variations within the book for each season but within fall, I think you could really have fun with this recipe. Pear variety: Play around with the variety. 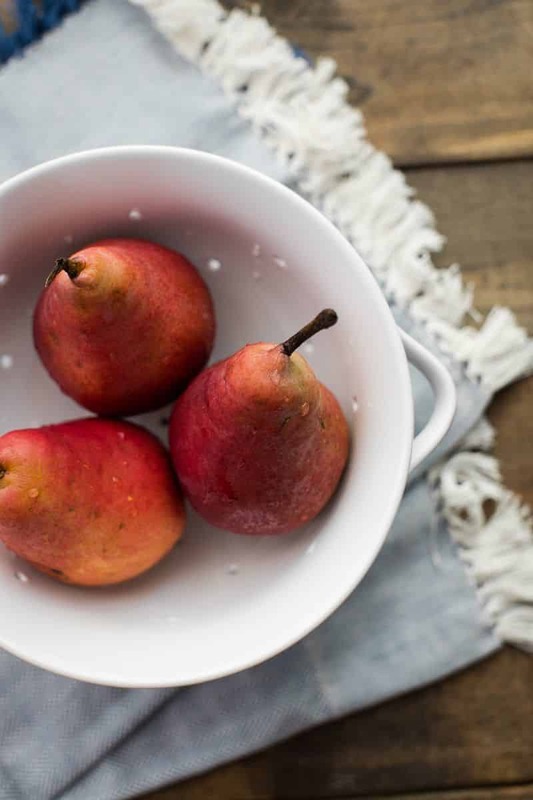 Some pears are better for baking while others are better for eating fresh. 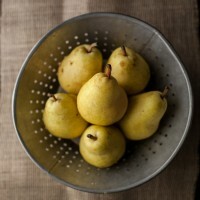 The Kitchn has a list of common pear varieties and how best to use them. 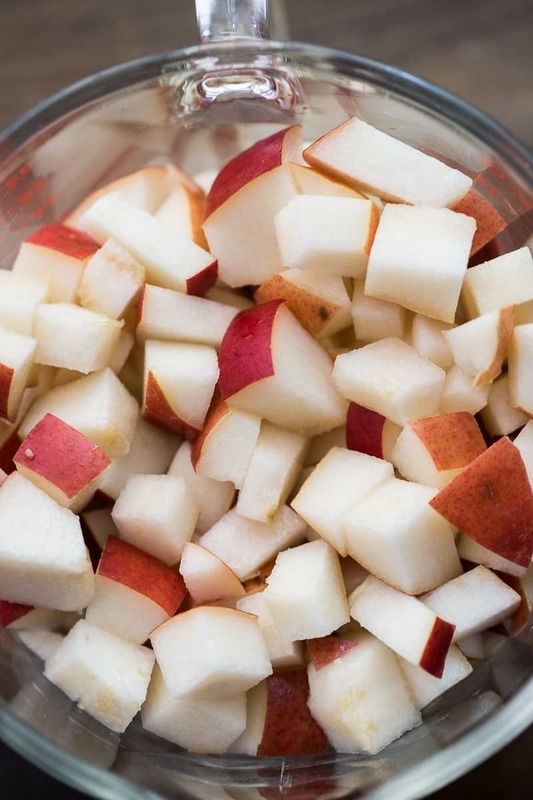 Apples: This might be obvious, but you can easily swap out the pears and replace them with your favorite baking apple. Or go wild and mix the two together. Flavor: I’ve been in love with adding fresh ginger to dishes like this or a pinch of cardamom. Combine the pears with the honey, flour, vanilla, cinnamon, and nutmeg in a 2qt baking dish. Toss until the pears are well coated. In a food processor, combine the oat flour and rolled oats. Pulse in the butter and honey until clumps form. 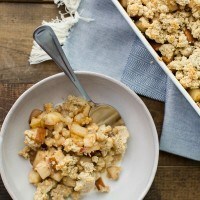 Sprinkle the oat topping over the pear mixture. Bake for 25 to 28 minutes, until the topping is golden and the fruit is tender. Let cool for 5 minutes before serving. Serve a scoop of the crisp with a pour of heavy cream or a scoop of vanilla ice cream. +Recipe a variation from the crisp recipe inThe Easy Vegetarian Kitchen Cookbook. Another October, another Fair Trade Month. You may remember that last year I shared my favorite banana bread recipe in honor of Fair Trade and this month, I adapted a recipe from my cookbook to highlight two fair trade ingredients: honey from Wholesome Sweeteners and nutmeg from Frontier Co-op. As with last year, Fair Trade sent along a bit of information about Yolanda who harvest Fair Trade roses at Agrocoex. If you’d like to find out more about Fair Trade USA, be sure to pop over to the Fair Trade Website. Disclosure: This post is in conjunction with Fair Trade USA in exchange for a box of fair trade products but all thoughts and opinions are my own. I like to support companies that are doing good through food near and far. Yum! 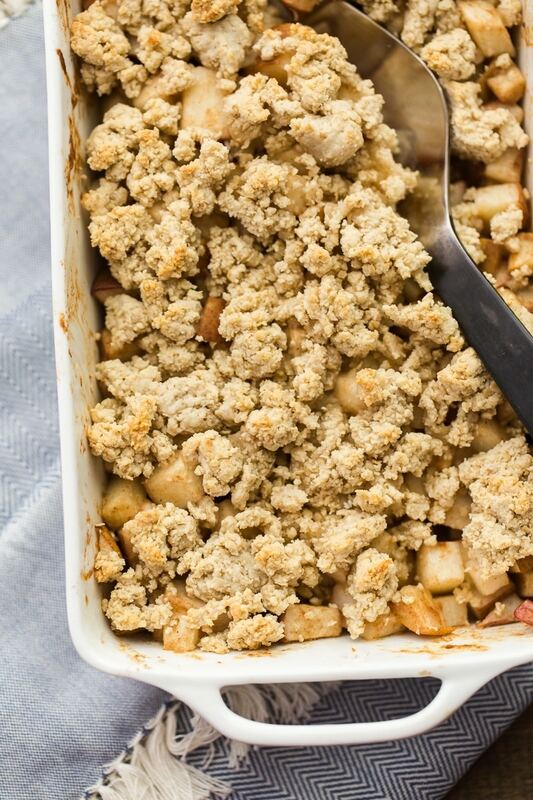 This pear crisp looks delicious! I was just having a conversation about pears with my sister the other day about dislike them raw. I’ve been thinking about poached or baked pears recently, but wasn’t sure which one I’d end up making. Problem solved: This recipe is perfect! Ooooooh that looks super yummy! Would love to have that on my table right now! I love pears in autumn baking, apples and pears – these are my go to. Pumpkin is way behind those two. This crisp looks yummy and I like that is not overly sweetened. This looks delicious. I am a fan of pears when I can get a nice, juicy sweet one. This crisp will definitely be on my “to-do” list. We loved this! Thanks for the recipe!